Markham is a burgeoning city within the GTA that has long outgrown its reputation as a “suburb” of Toronto. The city is growing at an astounding pace and business is booming in the downtown core. While many developers have seen the promise in Markham and claimed a piece of land within the city, few can hold a candle to Empire Communities‘ plan for its The Mark Condos development. Situated on Markham Road near Bur Oak Avenue, The Mark will be a truly remarkable place to live for those who want to be a part of Markham’s incredible expansion. Heralding the arrival of the development to the Markham scene, Empire are running an ongoing contest centred on what makes people’s lives remarkable. Contest winners receive a $50 gift certificate for Markville Mall. Prizes are given away every week that the contest is running. To enter, first think of an original and remarkable story about something that inspires you in your everyday life and then post it to The Mark’s Facebook page. Entries can take any form, be it a photo, a song or a video. There will be a grand prize draw for a 60 inch Samsung TV during their preview opening on April 6th. Register now to be a part of the preview event. Check out The Mark’s Facebook page for more details! 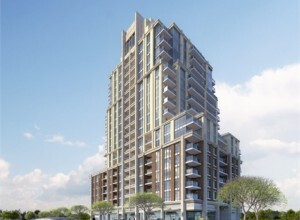 For more info on The Mark, email sales@themarkcondos.ca. Follow The Mark on Twitter here and scope out their Facebook page here.